This is the answer key for CSIR UGC NET JRF Life science June 2014 released by CSIR. Please check your booklet series (A or B or C), then go through the key. 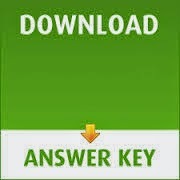 If you are new to the question paper work it out and go through the key..